M31N 2008-12a Erupting Andromeda Star - Next Supernova? M31N 2008-12a Erupting Andromeda Star – Next Supernova? Imagine living on a planet close to star M31N 2008-12a in the Andromeda galaxy, the nearest large galaxy to our own Milky Way. 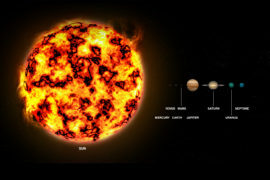 This star would provide some pretty amazing views in the night sky as it has erupted every year since 2008 in a “nova”. Roughly 4/5 of all stars in the universe are part of a binary system. M31N 2008-12a is a white dwarf star that is very close to its companion star in a binary system within the Andromeda galaxy. M31N 2008-12a is cannibalizing its companion star, a normal main sequence star. The white dwarf is so dense that its gravitational force is stripping material away from the companion star and adding it to its surface. As more material is added and compressed, a runaway fusion process starts causing a nova. 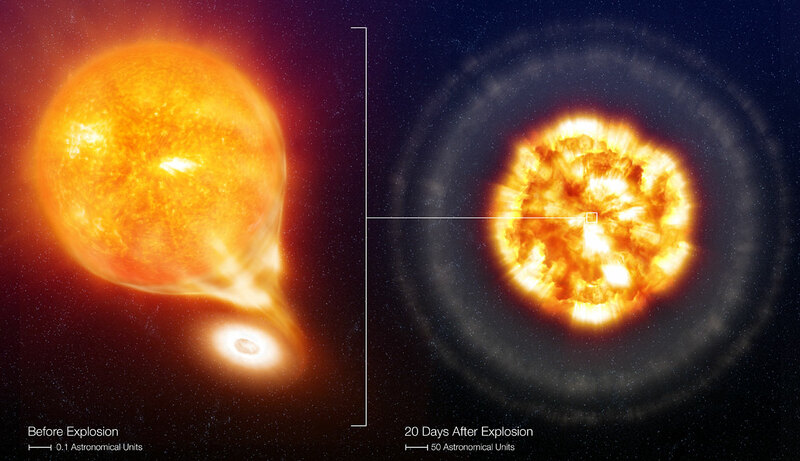 The nova will cause the white dwarf to temporarily have the brightness of 100 to 500 thousand suns. This eruption has been seen on M31N 2008-12a every year since 2008 making it very likely to be the next “supernova” in the Andromeda galaxy. This eruption process cannot continue forever as not all the extra material is ejected from the white dwarf with each nova. 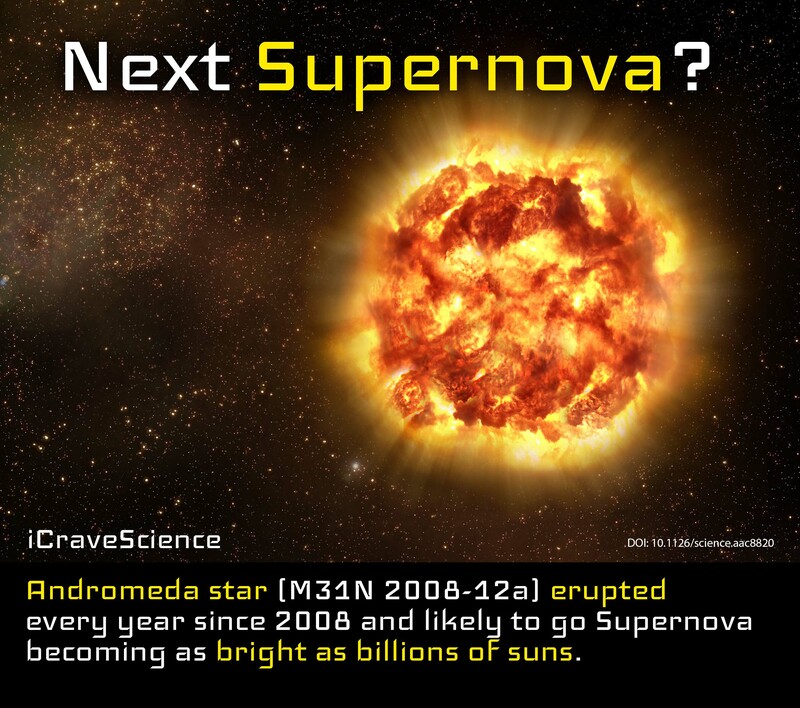 When the star gets close to the 1.4 solar mass limit it will undergo a much more powerful nuclear explosion called a supernova becoming as bright as billions of suns and outshining its host galaxy. These particular white dwarf supernovas are called type 1a supernova and have a standard luminosity. These type 1a supernovas are critical for our understanding of the universe and the distances involved between galaxies and clusters of galaxies. These all shine with the same magnitude and follow the same brightness curve as they explode making it relatively easy to estimate galaxy distances; brighter 1a supernovas are closer and dimmer ones are from distant galaxies. Stars with 8 solar masses or less will eventually become white dwarves. 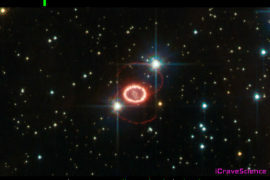 A star is born when a gas cloud begins to contract and the core heats up to several million kelvin. The hydrogen atoms begin fusing into deuterium, which is a hydrogen atom with a proton and a neutron. Deuterium then fuses with another hydrogen atom producing Helium-3. Helium-3 then merges with another Helium-3 leaving behind Helium-4. Nuclear fusion stops when all the hydrogen fuel in the core is converted to helium; however, there is still hydrogen in the outer layers. Fusion provides enough pressure to counteract the force of gravity in a star; when fusion stops the star contracts rapidly. 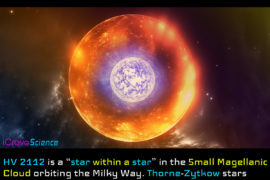 When the star begins contracting it causes temperatures to rise in the hydrogen shell surrounding the helium core. As temperatures rise, fusion starts in the hydrogen shell causing further surface expansion. As the surface area of the star increases the temperature decreases giving the star a reddish hue. The star begins contracting as the hydrogen runs out causing temperatures to sore in the helium core. The fusion process begins again fusing helium until the core is oxygen and carbon. The outer layers continue to expand and cool. Eventually the outer layers expand so far that gravity cannot hold them to the star any longer; they begin to puff off causing a planetary nebula and leaving behind a white dwarf. A star similar in size to our sun will collapse until electron degeneracy stops it from becoming a neutron star or a black hole. Electron degeneracy is where the pressure of the electron wave keeps gravity from compressing the material further. Anything over 1.44 times the mass of the sun will collapse further into either a neutron star or black hole. A neutron star forms because the protons and electrons are squished together forming neutrons. The neutron degeneracy pressure will stop a black hole forming as long as the mass is roughly no more than 4 times the mass of the sun. Stars with 4 solar masses or more generally form a black hole as long as they don’t lose too much material during a supernova. The Milky Way’s most active and recurrent nova is U Scorpii which erupts about once every decade. Finding M31N 2008-12a and being able to watch its evolutionary process is very exciting for science and deepens our understanding of white dwarf evolution.